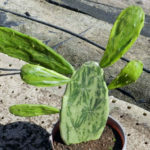 Nopalea cochenillifera f. variegata is a rare, spineless cactus with flattened, fleshy, modified stems that are often referred to as pads or leaves. 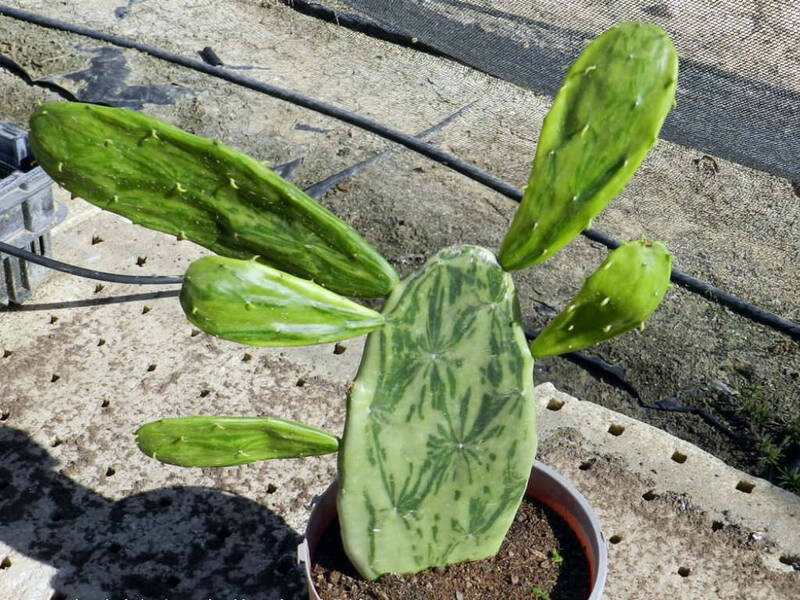 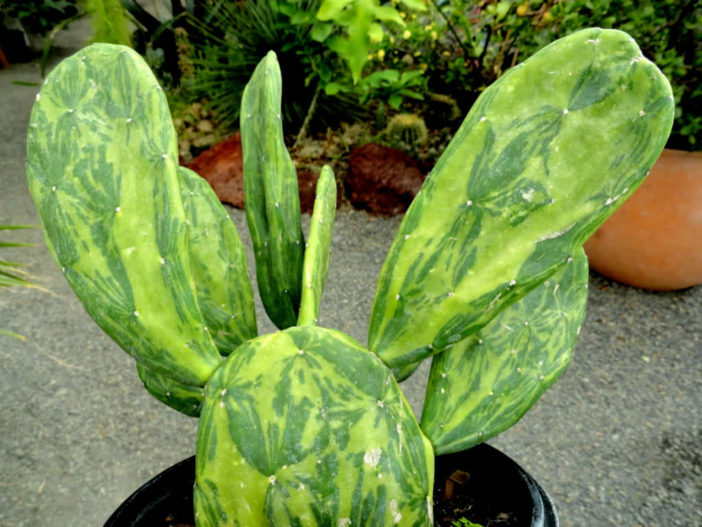 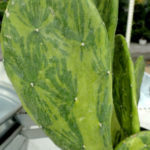 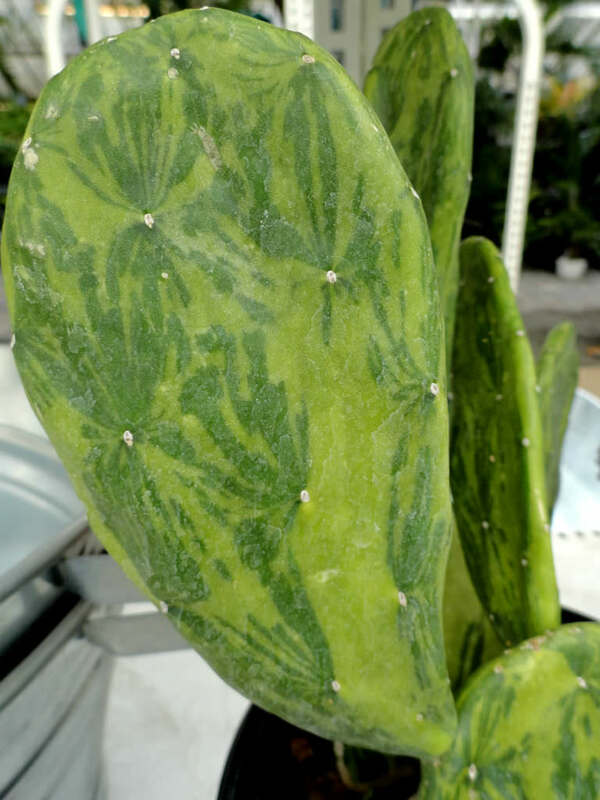 Each pad can reach up to 6 inches (15 cm) tall and they have an attractive green and yellow variegation. 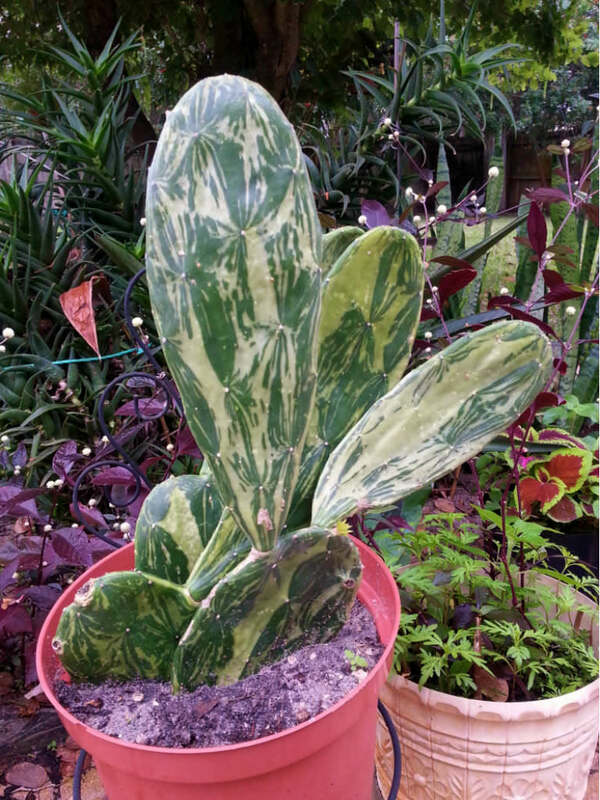 Mature plants reach up to 4 feet (1.2 m) tall and up to 20 inches (50 cm) wide. 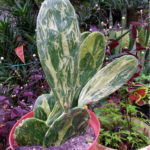 Nopalea cochenillifera f. variegata is a variegated for of Nopalea cochenillifera.